The final results are still being tallied, but all signs point to another successful fiscal year for Macalester’s Annual Fund, thanks to loyal support from the college’s donor community. By late May, the Annual Fund had raised more than $3 million, and a push led by staff and volunteers generated more online gifts in the last two days of May than in any other two-day window in Macalester’s history. Alumni, parents and friends helped ongoing fundraising initiatives flourish and also rallied several classes to new participation records. Jane Rhodes, American studies professor and Dean for the Study of Race and Ethnicity, has been awarded a coveted year-long fellowship by the Radcliffe Institute for Advanced Study at Harvard. Macalester has received a $1.3M, four-year grant from the Howard Hughes Medical Institute (HHMI) in support of undergraduate science education. Macalester, one of 47 small colleges and universities in the United States to receive a HHMI award, will use the funding to promote curricular innovation and to provide local and global research experiences for students. Macalester’s application was considered along with 181 other submissions in this national competition. Former NY/NJ Port Authority executive and national expert on abuse are Two of eight to be honored at Annual Macalester Reunion in June. They are a former NY/NJ Port Authority executive director, a national expert on abuse, a football coach, an actor and mentor, and an advocate at the Special Court in Sierra Leone. But one thing they all have in common is that they are all Macalester alumni who will be honored in June during reunion weekend. Chris Wells, associate professor of environmental studies at Macalester, and George Vrtis, assistant professor of environmental studies and history at Carleton College, have received a grant of $102,522 from the Minnesota Historical Society (MHS) to advance research focused on the environmental history of Minnesota. Charles Baxter, a 1969 Macalester graduate and fiction writer, has won the Rea Award for the Short Story, a lifetime achievement honor. Salman Haji ’14 from Albuquerque, N.M., and Patrick Snyder ’13 from Versailles, Ky., have been awarded U.S. State Department Critical Language Scholarships (CLS) to study critical languages this summer. Both will study Arabic. Keith Armstrong, Tyler Martinson, Kaitlin Roh and Ann Stromgren have all received Fulbright Awards to work in Colombia, Morocco, Jordan and Germany later this year. 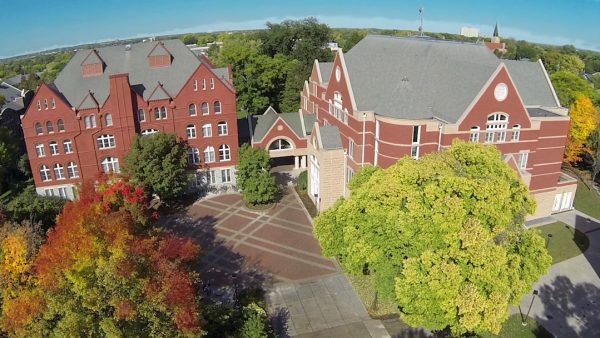 Westminster Presbyterian Church in Minneapolis, Minn., has established a $350,000 endowed scholarship at Macalester College. The scholarship will support a qualified Macalester student who is a member of Westminster Presbyterian Church. The Macalester College Theatre and Dance Department presents “Battles and Bodies,” a Spring Dance Concert composed of original works choreographed by eight students and guest artist/Macalester alumna Mikari Suzuki, in the Janet Wallace Fine Arts Center, Main Stage Theater, 1600 Grand Ave., St. Paul, Minn. Performances are Friday, April 27th at 7:30 PM, and Saturday, April 28th at 2 PM as well as 7:30 PM. Admission: General $7 Senior Citizens (62+) and groups $5. For ticket information, call 651-696-6359. Jack Weatherford, DeWitt Wallace Professor of Anthropology, will deliver the commencement speech for the 2012 graduation ceremony. The title of his talk is "Macalester Lessons." Yeukai Mudzi is the senior class speaker. Mudzi, from Zimbabwe, is an Economics major with a minor in Anthropology. Commencement will be held at 1:30 p.m. Saturday, May 12, at the college. Macalester will be streaming commencement at macalester.edu/commencement/ Check back for updates. J. Andrew Overman, the Harry M. Drake Distinguished Professor in the Humanities and Fine Arts in Classics, has been awarded the 2012 Thomas Jefferson Award. The award was established in 1961 by the Robert Earll McConnell Foundation to honor faculty members who exemplify the principles and ideals of Thomas Jefferson. Overman was selected by a committee of past Jefferson Award winners. Senior sociology majors Jeremy Carp and Diego Melo have been selected as the First Place and Second Place winners, respectively, for the 2012 Alpha Kappa Delta Undergraduate Paper Competition. Alpha Kappa Delta, the honors society for sociology, sponsors the annual undergraduate paper competition which receives entries from across the country. 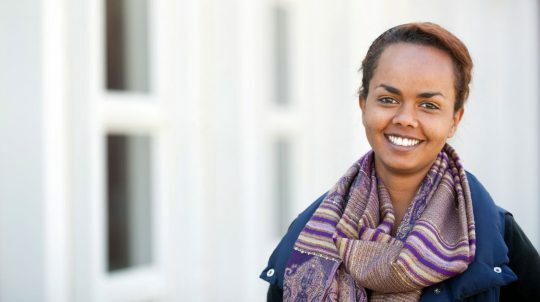 Two Macalester students, Selamawit Gebremariam ‘13 and Charlotte Fagan ’12, have each received $10,000 grants to undertake projects for peace in two different regions of the world. One student will help provide safe water to an Ethiopian clinic and community and the other will start a “bike library” for women in Quito, Ecuador respectively. Andrew Bendelsmith ’13, a junior from West St. Paul, Minn., has received a Goldwater Scholarship which is awarded to students with outstanding potential who intend to pursue careers in mathematics, the natural sciences, or engineering. Charlotte Fagan ‘12, of East Greenwich, R.I., has been awarded a Thomas J. Watson Fellowship. The fellowship, a one-year grant for independent study and travel outside of the United States, is awarded annually to graduating college/university seniors. This year the Foundation awarded 40 fellowships out of the 147 finalists who were nominated, and the awardees came from 29 of the 40 colleges on the Watson roster. The fellows come from select private liberal arts colleges and universities. The Center for School Change (CSC) will be “returning to its roots” in K-12 education, becoming an affiliate of nationally known EdVisions. The move will take place June 1. CSC has been at Macalester College since January 2010. CSC works with district and charter public schools, community members and policy-makers to help promote higher achievement and broader civic involvement. The Macalester College Theatre and Dance Department presents The Laramie Project, by Moisés Kaufman and the Members of the Tectonic Theatre Project in the Janet Wallace Fine Arts Center, Main Stage Theater, 1600 Grand Ave., St. Paul, Minn. Tickets are $7 general admission and $5 for seniors and groups. Performances are at 7:30 p.m., Thu. - Sat., April 5 - 7, and Thu. - Sat., April 12 - 14 and also at 2 p.m. Sat., April 7. On April 14th at 2 p.m., there will be a special free symposium about the show in the MainStage Theatre. All are welcome. The Laramie Project is directed by Associate Professor of Theatre Harry Waters Jr. For ticket information, call 651-696-6359. 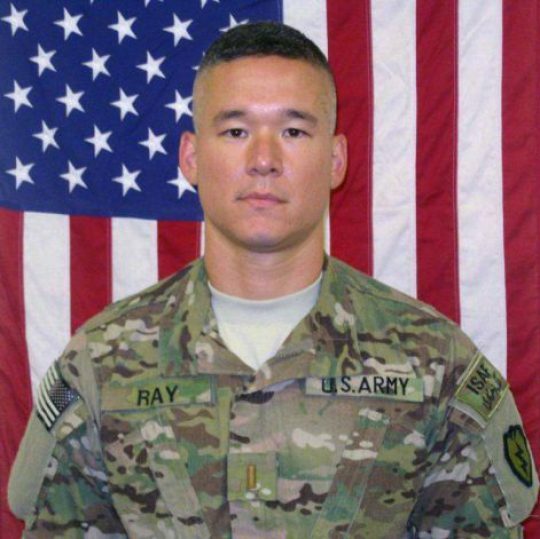 Second Lt. Clovis T. Ray of Three Rivers, Texas, died March 15 in Kunar province, Afghanistan, the Department of Defense confirmed Saturday. He was injured when insurgents attacked his unit with an improvised explosive device.